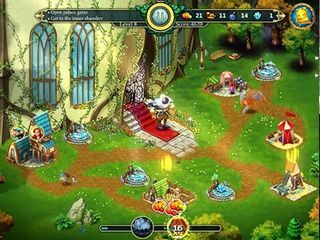 Elven Legend is a time management series about the kingdom of elves. There is a third edition newly released, Elven Legend 3: The New Menace Collector's Edition. 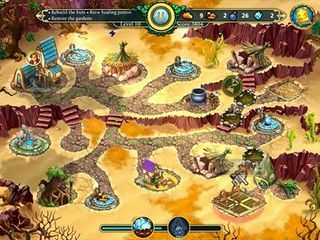 It is a very colorful and engaging game with a lot of action and strategy going on as you proceed through the game. You are going to visit many different parts of the kingdom with many different landscapes. If you played the other games from this series, you are well familiar with the young princess Aerin that has proven a hero twice already. As it is typical for the time management games, her kingdom is in danger (again) and she is responsible for saving it (again). This time around the kingdom is threatened by Duke von Gross from the western land. His intentions are no good - he wants to conquer the kingdom and enslave the elves. The story seems to be a bit repeating and new characters are a huge help to make it feel as a progress, rather than a repetition. The graphics look super colorful and very attractive. You are going to visit many different parts of the kingdom with many different landscapes. You are to choose from three modes of difficulty: relaxed, normal, and professional, then you gradually unlock all the territories on the map. Every level has a number of goals prepared for you, like rebuilding the huts, brewing healing potion, or restoring the gardens (some of the goals are more on a destruction side of things, like destroying a dams). There is a tutorial that will be helpful for those who are new to the genre or just the game in general. The game is full of tasks for you to complete. Might be a bit challenging for some of the players. 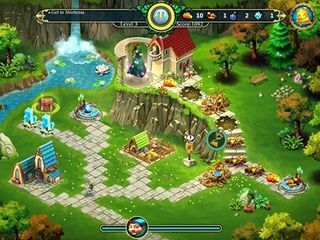 As you play and strategize your way through the game, you collect all kinds of different useful items, like a magic book or a gem. There is a statistics record after every level to tell you how well you did on each one of them. There are achievements to earn and some extras to enjoy as you paly or after it? like a bonus chapter. It is a neat little time management game to explore to help the elves be free! This is Elven Legend 3: The New Menace review. Download this game here.